Next week at Maine Crime Writers there will be posts by John Clark (Monday), Sarah Graves (Tuesday), Kaitlyn Dunnett/Kathy Lynn Emerson (Wednesday), Vicki Doudera (Thursday), and Lea Wait (Friday). And the links to read all five stories can be found at the Malice Domestic website. Just click on “Awards” and scroll down to the short story category. 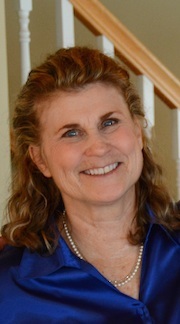 I’m also a guest blogger this week to promote the new mystery novel. I talk about a day in the life of Rosamond Jaffrey, the sleuth in Murder in the Queen’s Wardrobe at Dru’s Book Musings on March 3. Come by and comment and be entered in a drawing for a hardcover copy of the book. from Lea Wait: This weekend I’ll be pushing the keys to send Thread and Gone, the third in my Mainely Needlework series, to my editor. 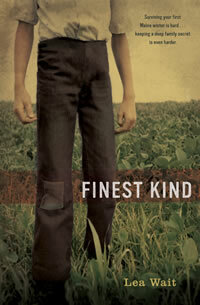 And Friday, March 6, I’ll be visiting students at the Juniper Place School in Alna, Maine, who’ve read my book Finest Kind. 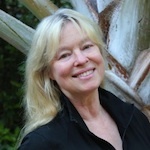 An invitation to readers of this blog: Do you have news relating to Maine, Crime, or Writing? We’d love to hear from you. Just comment below to share. Don’t forget that comments are entered for a chance to win our wonderful basket of books and the very special moose and lobster cookie cutters. This entry was posted in Sunday Updates and tagged Agatha short story nominees, blog tour, John Clark, Kaitlyn Dunnett, Kathy Lynn Emerson, Lea Wait, Maine Crime Writers news, Sarah Graves, Vicki Doudera. Bookmark the permalink. The conversation may have started on your blog in Maine–but it found its way to New York. At the February 18, Sisters in Crime (NY) meeting the topic was Mystery and Romance. The moderator, Triss Stein, introduced the topic by sharing the discussion on your blog on the place of romance (if any) in mysteries. It lead to a very lively and worthwhile discussion. 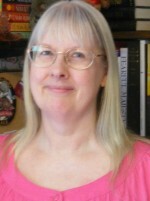 See my blog http://www.authorspottingnyc.com for a brief summary. So thank you for getting the dialogue going. .
Ellen, Thanks so much for letting us know. And cudos to Kate Flora for coming up with the topic on our end.